The following is an excerpt from To Have and To Hold, Leader Guide: Preparing for a Godly Marriage by Byron and Carla Weathersbee. The excerpt is found in Session 7: “Communication and Conflict Management,” pp. 131-134. Listening is not a spectator’s sport, but it requires active participation. A good listener takes on half of the responsibility for keeping a conversation meaningful and effective. Do you ever feel as if you are talking to a wall? Good listening requires inviting our spouses to share, showing understanding, exploring feelings behind the words, and using reflective listening to clarify what is meant. In reflective listening, you speak back what you understand a person to be saying in an effort to confirm that you correctly understand the message. Remember, through actively listening to our (future) spouses, we are best able to discern exactly how to communicate effectively when it is our turn to do the speaking. It is vital that both partners be willing to look at their own patterns of communication and together create a new pattern of communicating—unique to them. Sometimes working through old habits or patterns can be difficult, but developing healthy communication skills is invaluable when seeking the oneness that God intends for a marriage. It is my responsibility to effectively communicate my message to my partner. If the message is not getting through, I must find another way to communicate it. It is my responsibility to understand what my partner is saying. If I am unclear about the message being communicated, I must ask clarifying questions and work to understand what is being communicated.What do you need and expect from each other in terms of openness and depth of communication? How do your needs and expectations differ? How would you deal with a breach in trust? Good listening begins with a complete focus on the one doing the talking. We can be there but not all there. 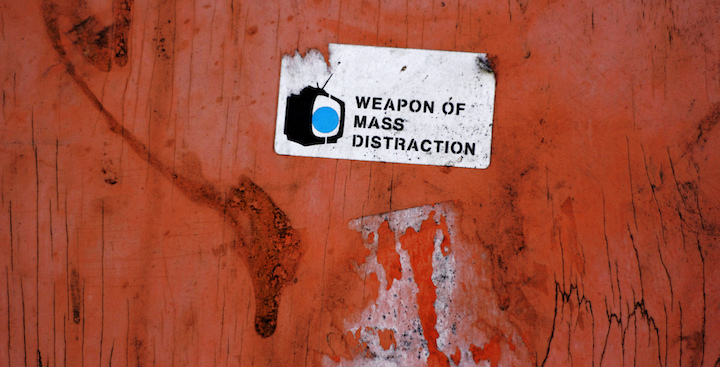 Distractions come in many forms. Being fully present requires active listening. It demands that we reflect on what is being communicated and how it is being said. Often this includes asking the right questions—clarifying what is being said rather than judging or indicting. Unsuccessful communication can be similar to speaking in two different languages. If a message were clearly spoken in English to a person who only speaks Spanish, there’s a good chance the message would be misunderstood or, at best, only partially understood. A person attempting to communicate a message has the responsibility to speak in a “language” the listener understands. Too often one partner gets angry and frustrated when the other one doesn’t comprehend what’s being said despite every effort to understand. We must remember to consider the listener’s background, gender, and personality traits when deciding how to best communicate our message. We should not expect our partners to read between the lines. We have all heard the old axiom, “Say what you mean and mean what you say.” We are wrong most of the time when we try to guess what another person is thinking. If we want our spouses to help with the dishes or help clean out the garage, then we need to say just that. You must not expect him or her to read your mind. My husband and I have an agreement: We have decided not to fault each other for not responding to something that was not verbalized. If I do not say it, I cannot expect my spouse to know it. Spouses need to be careful not to speak rashly, always weighing their words before speaking them. It is also wise to pick an appropriate time and place to speak. You may wake up ready to go into heavy conversation, but your partner, who is not a morning person, may not respond in the way you would like. Avoid words like “should,” “ought,” and “must.” These are considered parenting words and can communicate a sense of arrogance, pride, or superiority. “Always” and “never” may come across as defensive words possibly resulting in a negative response from the listener. They are often not helpful when attempting to communicate a message. Communicating will eventually become less difficult and miscommunication less frequent as a couple grows, matures, and spends years together. Good communication is the most challenging and difficult during the first years of marriage. The following is an excerpt from the Steadfast Love Bible study by Lauren Chandler. We’re always drawing near to something, some kind of gate. The lame man in Acts 3 who “drew near” to the temple gate called Beautiful comes to mind. The story goes that a man “lame from birth” was carried by some benevolent man every day to sit at the temple gate and beg for alms—money or food given to the poor. Every single day, he put himself at the mercy of people walking into the temple to worship. The next words out of Peter’s mouth probably dashed the man’s hopes: “I have no silver and gold …” But he didn’t stop. “What I do have I give to you. In the name of Jesus Christ of Nazareth, rise up and walk!” (v. 6). Then Peter grabbed him by his right hand and raised him up. His feet and ankles immediately became strong and he leapt in praise of what God had done. I can only speculate why that man was willing to be carried every day to the Beautiful Gate. My best guess is that there was not much else he could do. He couldn’t work. He couldn’t earn a living. His only other option was to waste away at home (whatever that may have looked like). Drawing near to the gate called Beautiful meant some kind of life. Little did he know how miraculous that life would turn out to be. To continue in our pursuit of earthly wisdom is the quickest way to the gates of death. But there’s a better way. It’s a way that leads to life, if we would draw near. Join us this summer on the LifeWay Women’s Blog for an online Bible study of Steadfast Love. Study begins June 14. Caring for a family with a new baby is a familiar process for most people. You marvel at the cheeks. Oh, those cheeks! You hand sanitize your entire body before entering a new baby’s personal space. You bring meals and diapers and cute tiny outfits to small group. But, the adoptive family needs a different kind of care. The adoptive family might not have a happy, healthy baby. The child might be older. There are often developmental delays or special needs. The adoptive family might not even feel like a family at first.The standard oohhs and ahhs aren’t always the best way to approach the family who just adopted a child. It is powerful when you, as a group leader, can be sensitive to the needs this family is experiencing and lead your group to love them. Here are three ways to love the adoptive family in your group. Just last month, I returned home from China, bringing with me a three-and-a-half-year-old deaf child who is now our daughter. Before leaving, a friend from church casually asked if I’d let her set up a “ding, dong, dash” meal train for us when we returned. Because we adopted an older child with a traumatic history, we needed to keep her home and keep our home free of visitors for at least six weeks. So, my friend set up our meal train and explained our situation—we couldn’t have house guests. She requested that everyone involved ring the doorbell, leave the food on the stoop, and bolt. Let me tell you, hot food delivered to your doorstep every night with no expectation of hospitality is one of the greatest forms of love I’ve ever been shown. If you haven’t heard of it, bookmark mealtrain.com. It is one of the best ways to love a family that is going through a transition. As a small group leader, you have the opportunity to take the pressure and awkwardness off of your needy family and be the one they can be specific and picky with. Then, relay their message and make sure that the other group members who sign up ding, dong, and dash with care. Families with adopted children test out the waters of life in a different way than families with newborn biological babies do. With a newborn, you’re careful to avoid germs, but the adoptive family avoids trauma, drama, and environments that might trigger fear or distrust in the child. With the adopted child, parents are looking for bonding and attachment. The parent needs to learn to love the child and the child needs to learn how to be loved. There is a lot of training that goes into adopting a child. Recommendations vary depending on which country you adopt from, how old your child is, their history, etc., but there is always the need for intentionality when putting together people who have not been a family before. That might mean a new adoptive family doesn’t attend group for a while as they focus on building the home. It may mean they come in shifts so that child spends less time out of the home. It may mean that when they finally do come to the group together, they have a lot of weird requests about what you say and do to help the child respond to a new group of people in a healthy way. Let the family lead when it comes to how much they want to invite interaction in the early days of their adoption. This creates an expectation for patience within the group. Make an effort to extend extra grace to the adoptive family and model it for other group members. For adoptive parents, emotions can be all over the place at first. Life can be all over the place. This whole beautiful experience has been a roller coaster that has left me feeling weaker and needier than ever in my life. 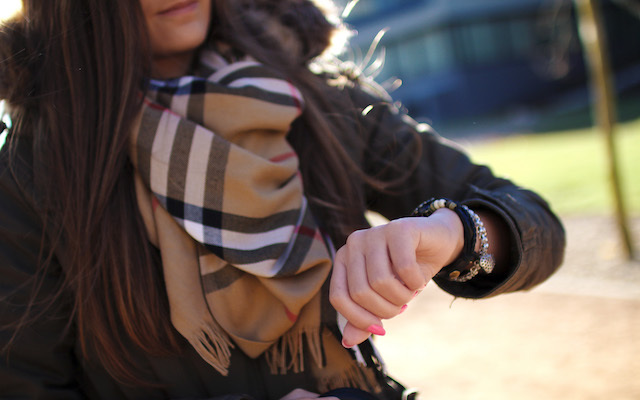 I used to be punctual. I used to be reliable. I used to be speedy at responding to all communication. Now, I’m relearning how to do life with a new child and a whole new set of emotions and family dynamics. Your group members, in the midst of this life change, may not be themselves. They might not remember the group snack. They might not return your emails within a 24-hour window. They may cry more than you wish they would cry. Give grace. Offer help. And use the time of adoption transition to show your group the love of Jesus. Scarlet Hiltibidal is a writer living in Nashville, TN. Scarlet has a degree in biblical counseling and worked as a Christian schoolteacher before she started writing. She has written for and managed several online publications. Currently, she does freelance writing for various Christian publishers and produces small group curriculum for children. Scarlet is wife to Brandon, who is part of the Groups Ministry Team at LifeWay, and Mommy to her daughters, Ever Grace, Brooklyn Hope, and Sawyer Joy. Visit her blog at scarlethiltibidal.com and follow her on Twitter and Instagram @ScarletEH. The following is an excerpt from We Saved You a Seat, a 7-week Bible study by Lisa-Jo Baker and friends from (in)courage that explores our relationship with Jesus as the ultimate model for authentic friendship. Find more information at lifeway.com/wesavedyouaseat. Friendship that requires us to open our front doors just the way we are and stop playing “fine” in front of our friends, that makes us make time and won’t let us make small talk, can land us feeling emotionally naked and desperately vulnerable. Like you’re standing on your best friend’s front doorstep in your pajamas with bed head and ugly cry face left over from the night before, wondering if she’s going to open the door. If she’s going to be comfortable with this raw version of you. If she’s going to invite you in or if she’s going to make excuses to move you on out—especially if you didn’t call first to let her know that you were coming over. There’s this terrifying moment between heartbeats when you don’t know yet what she’s going to say or how she’s going to react. You’re just standing there with all your raw honesty waiting for her to take her turn and respond. Waiting for her to stretch out an arm and wrap you up in her safe place or for the frown to leak across her face as she tries to make sense of this version of you, this version that clearly makes her uncomfortable. In or out. What will it be? Your heart beats and waits and hopes and holds its breath. Can you trust a friend with all your raw vulnerability, or should you have stopped to grab a brush and some concealer before showing up? Should you have stopped first to cover up and put yourself together? Of course the temptation to cover up isn’t just about how we look and whether we’ve cried our makeup off or not. It’s about taking the risk to show up with our unairbrushed stories of marriage or motherhood or loss or singleness or homesickness or depression or failure. It’s whether we can trust our friends to let us tell them how desperate we are to find ways to cope through the toddler years or the teenage years or the unemployed years, and will they still look at us the same when they hear how angry we can feel toward our own children, our roommates, our God? Will they still accept us if we crack into an awkward fit of weeping when we learn one more friend just got engaged and we’re still single? Where can we take all these vulnerable feelings if we can’t take them to our friends? Can we come out of hiding and let ourselves be really seen? Can we just stand there in the middle of our lives and let our friends read right up to where we are and trust them with what comes next, even when we have no idea what that might be? The thing is, trusting our friends is a reflection of how much we are willing to trust the God who created them. Until we can trust God with our naked vulnerability it will be impossible to trust other people. Do you? Do you trust God to be a friend who won’t let you down, especially if you feel like God has let you down? Can you trust God with your honest feelings? Can you trust Him with your whole vulnerable heart? With your disappointments? Go ahead, tell it like it is. […] If we can’t bring our honest questions and fears that God will (or has) let us down to God Himself, the Author of all our relationships, then who can we ask? And here’s the thing: We wouldn’t be the first to ask that question. We wouldn’t be the first to accuse God of letting us down. […] Ours is a God we can vent to, ours is a God who will cry with us, but most crucial—ours is a God who will raise our deepest hurts from the dead because He is just as angry as we are at what sin steals from us. […] And then our Jesus, our God who gets our human emotions of grief and disappointment from the inside out, from inside the very skin of humanity, proves Himself faithful and powerful enough to raise back to life what was once dead. Jesus raised Lazarus, who had been dead for days, by name—just like He will raise you and me. Just like He calls us by name. And what is required from us in order to see that glory of God in action? We have to believe in order for Him to raise us and our dead and disappointed hearts from the tomb. Can we do it? Will we bring our broken hearts to Him? Will we trust and believe in Him so that we will hear His voice call us by name and raise back to life everything we thought had died in us and in our friendships? Dare we be that vulnerable with our God, our friend, and our Father? Maybe the better question is, how do we dare not? Excerpted from Lisa-Jo Baker, We Saved You a Seat © 2017 LifeWay Press. Used by permission. 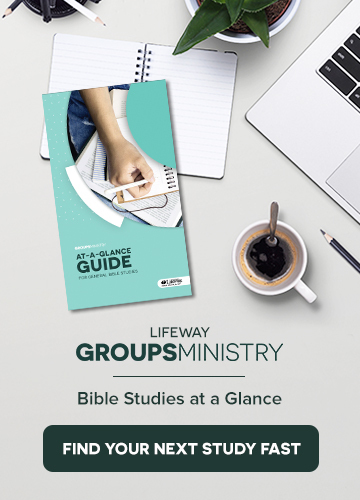 Here are some of the top things LifeWay Groups Ministry has been reading and sharing lately. The following excerpt is from Finding I AM, a 6-session Bible study from best-selling author Lysa TerKeurst that explores the seven I AM statements of Jesus found in the Gospel of John. Find more information at lifeway.com/findingiam. The next I AM statement is found in John 14. To get there, though, we need to keep up with the story and examine John 12–13. If you are feeling ambitious today, go ahead and read chapters 12 and 13 to get the full story. If you don’t have time, no worries—I’ve summarized it in the bullet points below. Six days before Passover, Jesus goes to Bethany for a dinner party in His honor. At that dinner party, Mary (the sister of Martha and Lazarus) anoints Jesus’ feet with costly perfume. Judas feels like this is wasteful. Jesus rebukes Judas. Jesus rides into Jerusalem for the Passover celebration, on a donkey, with palm branches at His feet. Jesus predicts His own death. Jesus reminds the crowd that He is the Light of the world. Jesus’ last supper with the disciples. Jesus washes the disciples’ feet, including the feet of Judas. He commands His disciples to do the same type of service for others. Jesus tells His disciples that one of them will betray Him, and it turns out to be Judas. Judas leaves into the night. Jesus tells Peter that he will deny Jesus three times before the rooster crows. The clock seems to speed up here. The critical hour is upon us. Can you feel the tension? Read John 12:9-19. Why did the crowds flock to Jesus this time? I feel like I am part of that crowd sometimes too. I come to see Jesus but I also want to experience the blessings of His hands. I come for both reasons. And I’m convicted. I come for Jesus plus something else. What are some of your Jesus-plus items? I wonder why we don’t feel like Jesus is enough. Even from the garden we see this. Adam and Eve walked with God in the garden. They had all of their physical needs met. They had the relationship and love of God at their literal fingertips, and yet, their hearts were drawn to more. The crafty serpent interjects a thought that captivates Eve. The thought of “being like God” (Gen. 3:5). Ultimately, our desire to be like God stems from unbelief. We don’t believe God is who He says He is. We don’t believe He is sufficient, and because of our lack of trust, we wander and look to other things or our ability to provide what we don’t think God will. You are not alone if this is you. But by recognizing our lack of trust and bringing it to the light we can be reminded that in Jesus we truly have all we need and all we could ever want or desire. Write a prayer of confession to God and ask Him to help you long most of all for Jesus. Let’s read Old Testament prophecy about the king riding in on a donkey. The Book of Zechariah was written after the Jewish people returned from their exile in Babylon. It was written in two parts. The first part (chapters 1-8) was written around October/November 520 B.C. (Zech. 1:1). The second part (chapters 9-14) don’t give us an exact date, but the writing would have been around 475 B.C. Jesus was born between 4 and 6 B.C. and then this prophecy wasn’t fulfilled until this moment when Jesus was 33 years old. For me all this math stuff is hard, but try to calculate how many years it was between this prophecy in Zechariah and when Jesus fulfilled it. The answer is 507-509 years. FIVE HUNDRED YEARS of an unfulfilled promise. According to John 12:16, when did they realize what all this meant? Zechariah never saw the fruit of the prophecy. And the disciples didn’t see the meaning of what Jesus did here until much later. This information helps me when I start to struggle with the timing of circumstances in my own life. I often want to see the good God promises right now, but sometimes God’s good answer is “not yet.” There is a timing to everything. You may be living under a promise of God, but not yet see the fruit of that promise. You may be praying for something that has not happened yet and maybe even see no hope of it ever coming to pass. Though we may not understand, we must trust God’s timing is perfect. God, even in those situations, is still very much at work. Even in the silence. Even in the unknown. Even when you can’t see anything on the horizon. In what specific situation do you sense God might be at work even if you can’t yet see the results? When my grown daughters were teenagers I wanted them to want Jesus most of all in their hearts. But there was a season where I wondered if this would ever come to pass. A season where I cried myself to sleep most nights. A season full of worry and pain. And it certainly didn’t help when I got an anonymous letter. I opened the letter and my heart sank. It was from another mom who wanted to make sure I had a list of all the ways one of my daughters was falling short. There in black and white she listed my daughter’s mistakes, shortcomings, and frailties. And then just to make sure I took her nameless letter seriously, she informed me she’d be sending a copy to my pastor. My initial reaction was figure out who sent this so I could call her. Talk this through face-to-face. My aching heart wanted to assure her I was not only aware of some struggles my daughter was having but also working diligently to help her course correct. But as I reread the letter, I discerned it wasn’t sent from a place of love for my family or a heart that wanted to help. From the language she used and the fact that there wasn’t a way to contact her, it was obvious she didn’t send it because she wanted the best for my daughter. I sat on the edge of my bed and cried. It’s so hard to have someone attack you in an area that’s already rubbed raw with hardship. Her letter was like a bullet straight to my heart. However, it was also a wake-up call to get more intentional in praying for my daughter. I thought about her struggles a lot. I talked about her struggles. I worried about her struggles. But thinking about, talking about, and worrying about something is not the same as praying about it. I determined to turn this letter that felt like a bullet into a blessing by using it as a catalyst to ramp up my prayer life. Praying her through the ups and downs wasn’t easy. There were days I wondered if God was even hearing my prayers. It’s tough to pray someone all the way through a messy, hard, complicated situation and not see answers. Maybe you’ve been there. Maybe you are there now. Is there a similar situation you’re going through right now? Can I speak hope into your heart with three ways to press through unanswered prayers? 1. Know with confidence God hears your prayers. First John 5:14 reminds us: “This is the confidence we have in approaching God: that if we ask anything according to his will, he hears us.” Write out how this encourages you. 2. Trust that prayer makes a difference, even when you don’t see the difference. When you pray, you can trust you are doing your part and God will certainly do His part. What will guard your heart and mind in the process? Write out how this encourages you. 3. Tell fear it has no place in this conversation. These prayers are your gateway to feel an assurance you don’t see yet. But fear will beg you to focus on the problem more than God’s promises. Isaiah 41:10 says, “So do not fear, for I am with you; do not be dismayed, for I am your God. I will strengthen you and help you; I will uphold you with my righteous right hand.” Write out how this verse encourages you. It’s been several years since I got that hard letter that prompted more frequent prayers for my daughter. Only a few months into her freshman year at college, I went to go visit her and could hardly believe my eyes. She was a completely different girl. I can hardly type those words without crying. Here’s my plea to you in this situation: Trust Him. When you are tempted to give up or stop trusting—don’t. He is still at work even if we can’t see it at this moment in time. Last thing for today—read John 12:37-41. These verses are both convicting and troubling to me. But can I offer a piece of encouragement? There are some passages of God’s Word meant to convict and trouble us. This is a function of Scripture. These people who had been following Jesus and saw Him perform miracle after miracle still didn’t believe Him. They could not accept His words even though they had seen His miraculous hand. So, with that in mind, here is my final plea for the day. Don’t forget what Jesus has done in your life thus far. Take a moment to remember some of the works of His hands and thank Him for it. Write down what He has done in your life and how you’ve seen Him work. I promise, tracing the hand of God in your life like this is good for your soul.